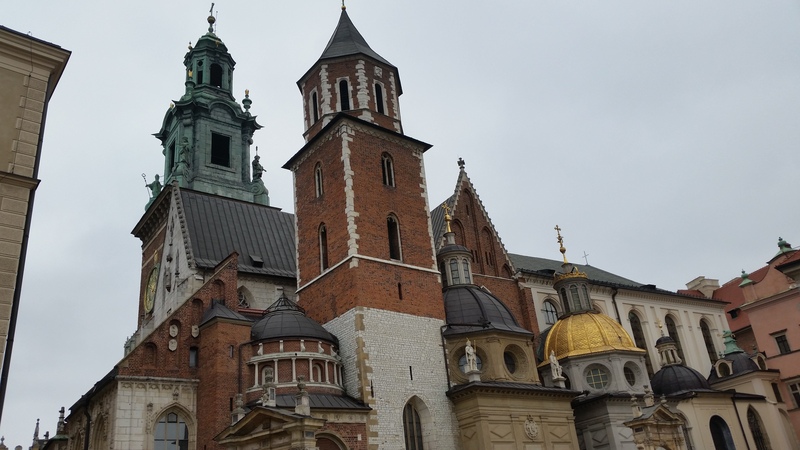 Krakow: The Greatest City on Earth? There’s no place like it. 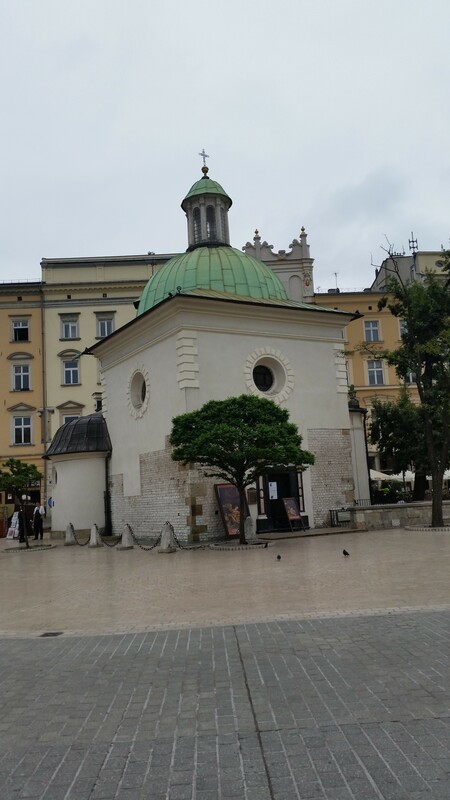 Rich in history and culture, the city of Krakow is largely responsible for my passion for Poland and my motivation to share that passion with you. I have decided to dedicate an entire post to this breathtakingly beautiful Polish city so you, too, can have a taste. The main market square in Krakow. The cloth hall is to the left. Saint Mary’s Basilica visible on the right. Krakow is the creme de la creme of Polish cities, beloved both by foreign tourists and natives. People always say the grass is greener on the other side, but nearly all native Poles I have met are themselves completely smitten by Krakow, which says a lot considering they live there day-to-day and would be more prone to taking it for granted. Saint Adalbert’s Church–small but ancient. To me, this proves unequivocally that Krakow is truly special as far as travel destinations go. It is Poland’s cultural capital and its most popular tourist destination. If you visit one place in Poland, it needs to be Krakow because few others can rival its seductive charm. Krakow is one of those places on earth whose exact origins are unclear, falling somewhere between myth and reality. At the entrance to the Cathedral on Krakow’s famous Wawel Hill hang the bones of some massive prehistoric creature. Legend has it that these are the remains of the Wawel Dragon, who terrorized the populace ages ago. According to lore, a man named Krak slayed this dragon, built a castle atop its cave and founded Krakow. Of course that is only legend, but historians aren’t completely sure about when exactly Krakow was founded. Evidence suggests that people have inhabited Wawel Hill for thousands of years due to its defensible positions, resources and proximity to the Wisła river. These included the ancient Celts. By the ninth century, the Vistulan tribe had created a thriving society in Krakow, which became a major center of commerce. When the Poles annexed Krakow and made it the capital sometime in the 11th century, it was already well developed. 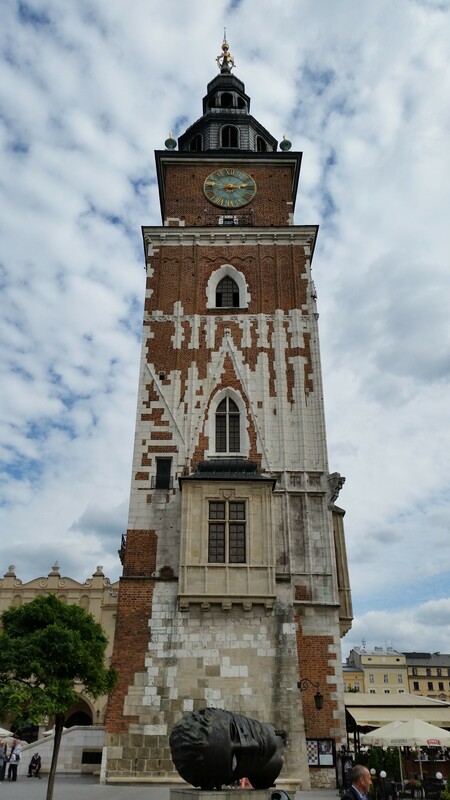 The medieval Krakow town hall tower. No matter who you are or what your interests, Krakow has something for you. For me, the city’s most appealing aspect is its history and old buildings. The town square contains the centuries old cloth hall (Sukiennica), the towering medieval town hall, the captivating Saint Mary’s Basilica and the ancient Church of Saint Adalbert. The cloth hall stretches from one end of the town square to the other and houses several booths inside where various clothes, jewelry, and souvenirs are sold. Inside, you truly feel like you have stepped into a medieval market as the peddlers try to sell you their wares. Built in the 13th century, Krakow’s old Gothic town hall now houses a Museum of Krakow. The 229 foot (70 meter) building is rivaled in height only by the stunningly beautiful Saint Mary’s Basilica, which stands 262 (80 meters) tall. This is my favorite church in the world. Each time I visit the town square, I can never look where I’m going because my eyes are constantly transfixed on Saint Mary’s two towers. Every hour on the hour, a trumpeter plays the “Hejnał” from the top of the church, commemorating the original trumpeter who sounded the alarm of a Mongol invasion before being struck by an arrow midway through his tune. This church enchants me more than anything else in Poland. Yet Saint Mary’s is not the oldest church in the town square—that honor goes to the Church of Saint Adalbert. Erected around AD 1000 and named after the patron of the Polish Church, Saint Adalbert’s was originally constructed of wood. In the 11th century, it was replaced by a limestone building which has survived to the present day. I was able to go underneath the church and witness its medieval foundations firsthand. 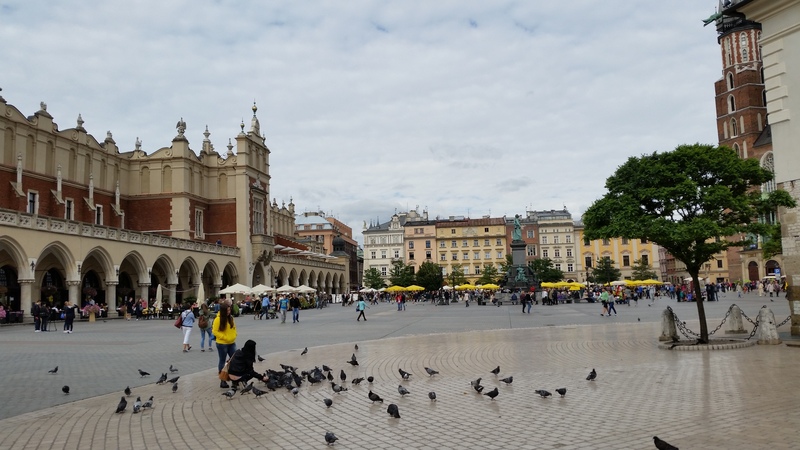 Indeed, there is a world beneath the town square called the “Rynek Underground.” Excavations of the market square were conducted in the early 2000s and yielded fascinating medieval discoveries, from stone foundations, to cottages, to various artifacts and grave sites. When I was down there, I was particularly affected by the medieval skeletons lying in their graves. Who were these people? Could they ever have imagined that they would be part of a historical exhibit? If you follow Grodzka street away from the market square, you will run into the awe-inspiring Wawel Hill, with its royal castle, cathedral and crypts. All the great Polish kings are buried here. It is also believed by some to have abnormally high levels of spiritual energy, or Chakra. 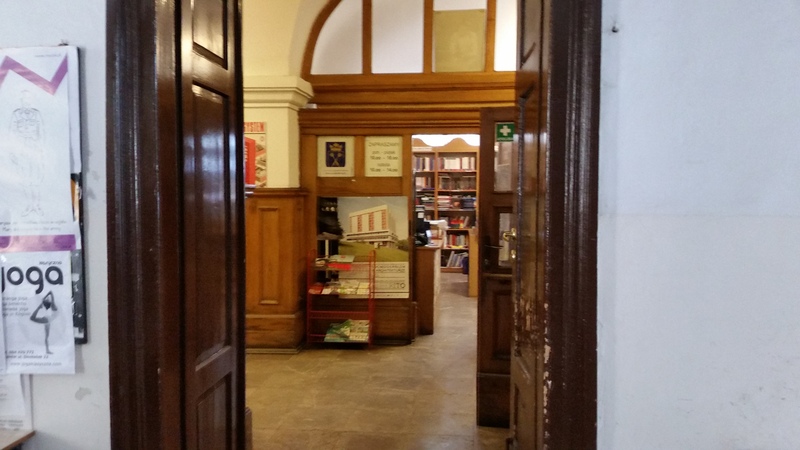 A quaint bookshop located in a very old building in Krakow. It’s clear that I’m a history geek, but you don’t have to be one to enjoy Krakow. If you like shopping, there are endless shops and boutiques selling everything from jewelry, to music, to clothes, to antiques. I was a fan of the various small bookshops scattered across the city. Unlike Barnes & Noble, these small shops have their own unique character. Oftentimes, they are inside interesting old buildings that are worth going into, even if only to admire the architecture. For those with more modern tastes, Krakow has huge, world-class shopping malls like the “Galeria Krakowska” near the train station. Some of these malls are three stories and are truly expansive—you could spend a day there. I even bought new shoes there which I am wearing with pride back in the States. Hungry? 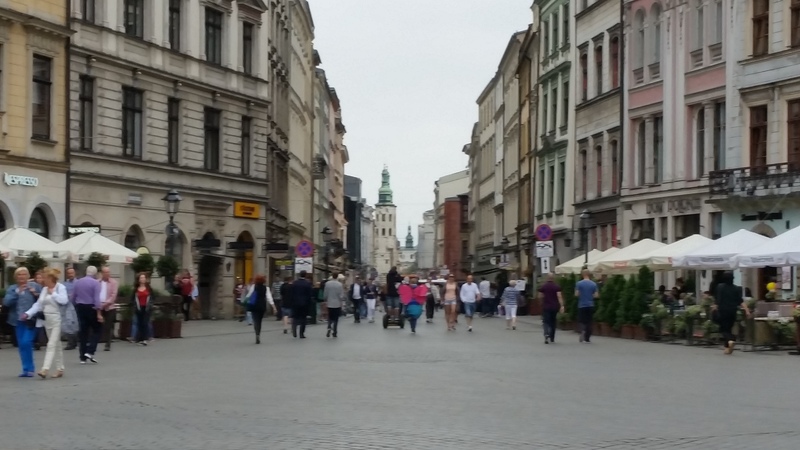 Krakow has everything, including classy Polish restaurants, ethnic cuisine, and McDonald’s. Many of these restaurants are in the cellars of medieval buildings—dining in such surroundings is an experience you will never have in the United States or Canada. Don’t forget to walk into a liquor shop and try a sample of authentic Polish vodka. I could keep writing, or you can go experience Krakow for yourself. It is an ideal place for both young and old. Young people will find themselves surrounded by droves of students and young professionals to talk to. I walked into numerous old-style cafes and music shops were people my age were studying, socializing and just spending quality time together. Older people will find similar points of interest. The point is, if you are human, you will find something you love in this mesmerizing city. For further reading on Krakow’s history, check out “A History of Krakow for Everyone” by Jan Małecki. The Diary of Crazy Polish Guy Part 2: Kittens and Pigeons and Dragons, Oh My! I’ve always liked Poland, its history and its people!